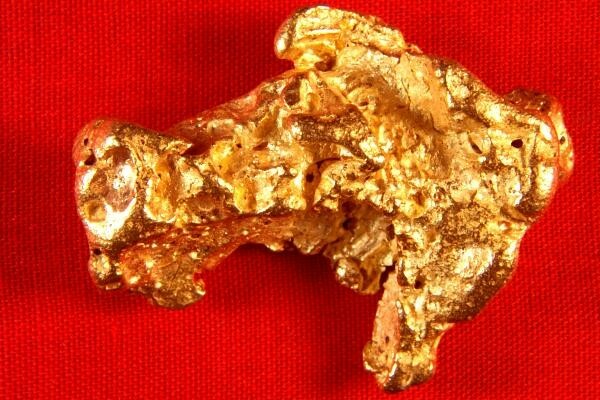 What better way to invest in gold bullion than collecting beautiful natural Australian gold nuggets? They appreciate more than gold bullion due to their rarity and they are much nicer to look at and hold. 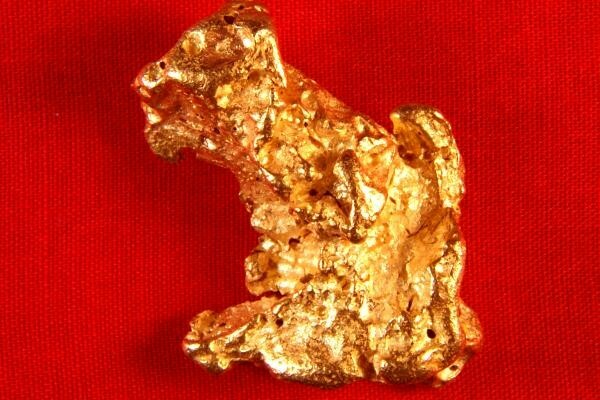 This beautiful gold specimen weighs 1.72 troy Ounces (53.4 Grams) and it is shaped like a Cat sitting down. 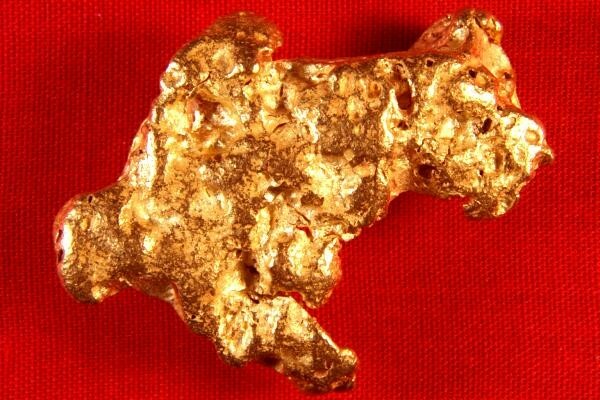 You don't often see a large gold nugget for sale that is in such a distinct shape. This unique nugget is 1.5" long x 1.25" wide x 7/16" thick. Jewelers, investors, and collectors love the high purity and the beautiful color of Australian gold. What's not to love? It feels incredible to hold in your hand and it is wonderful to look at.